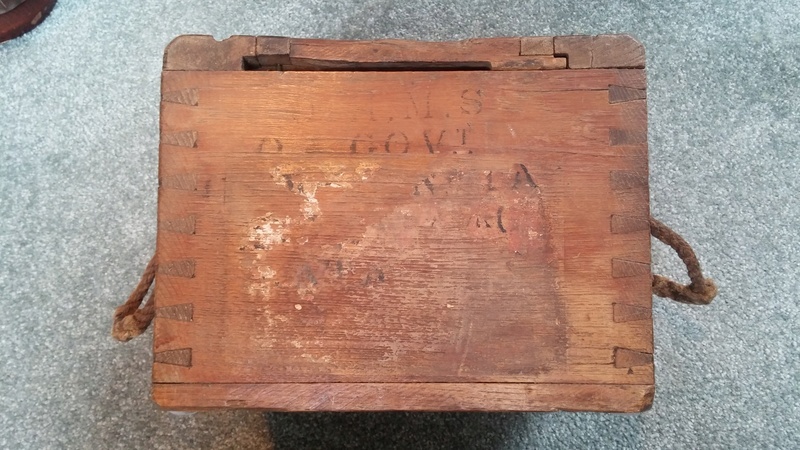 I just received this British Ammunition Box from South Africa this afternoon. I believe it is a H3 box, though I am not sure if it is a Mk I, II, or III. 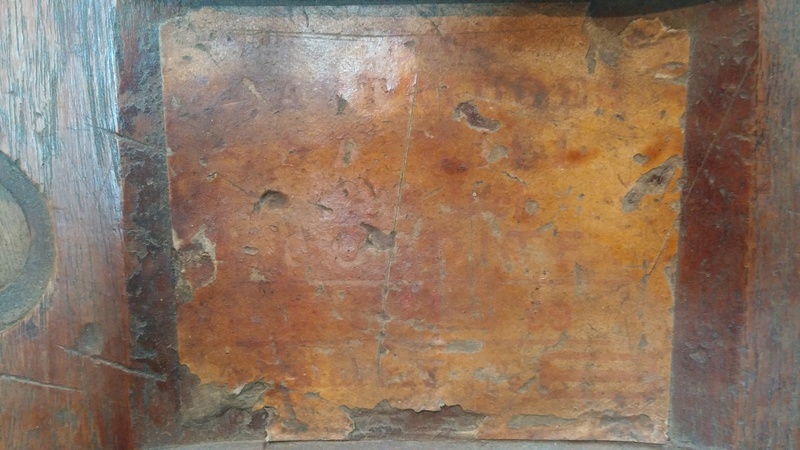 The label on the lid is very faded, but follows the same basic pattern as a loading stamp on a .303 Bandolier. As far as a can tell, it reads “840 ~ CARTRIDGES ~ S.A. BALL ~ .303 Inch ~ CORDITE ~ 25 / 11 / 99 (inside the boxes) ~ Mark IV (? )” Additionally, there are small broad arrows surmounting the letters “ILS”. I believe this stands for "Inspector, Land Service" and it can also be seen on early 303 bandoliers from 1914/15. This changed during the Great War to "ISAA" for "Inspector, Small Arms Ammunition" after the Inspection Department had been reorganized. 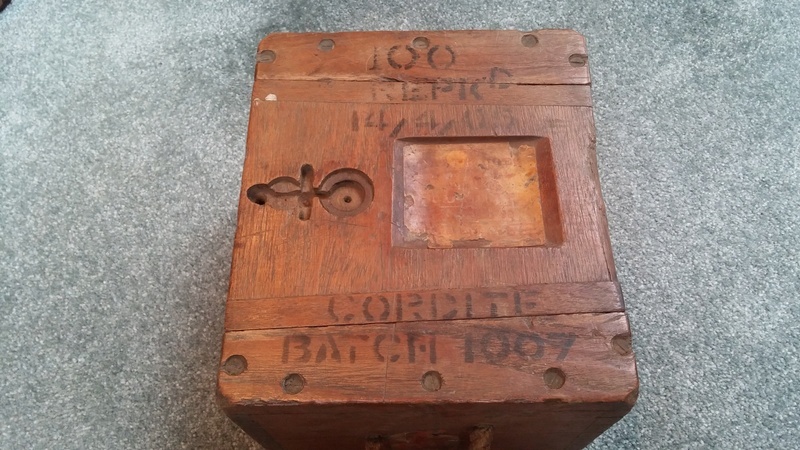 So the box was originally made in 1899, but the lid is also stamped “100 ~ REPKD ~ 14/4/05 ~ CORDITE ~ BATCH 1007”, so the box was reloaded in 1905. The lid is an Isosceles Trapezoid, so it stays in place when closed. I believe that there was originally a brass peg or cotter pin that held it in place, but this has long since disappeared. 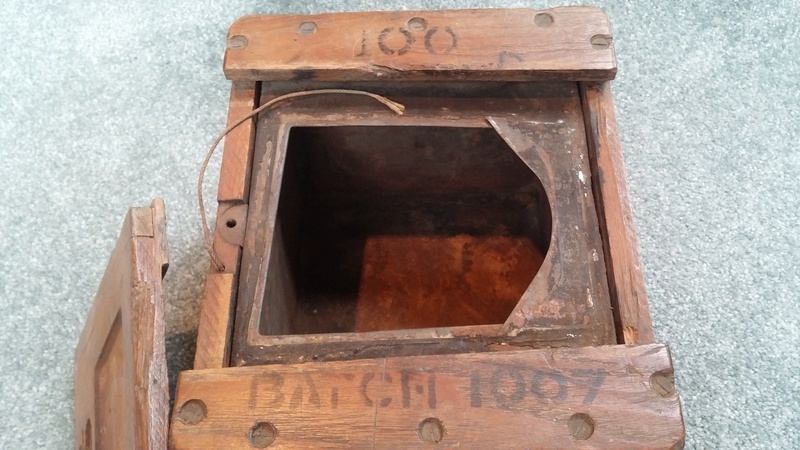 Inside the wood box is the original tin that would have held the ammunition. 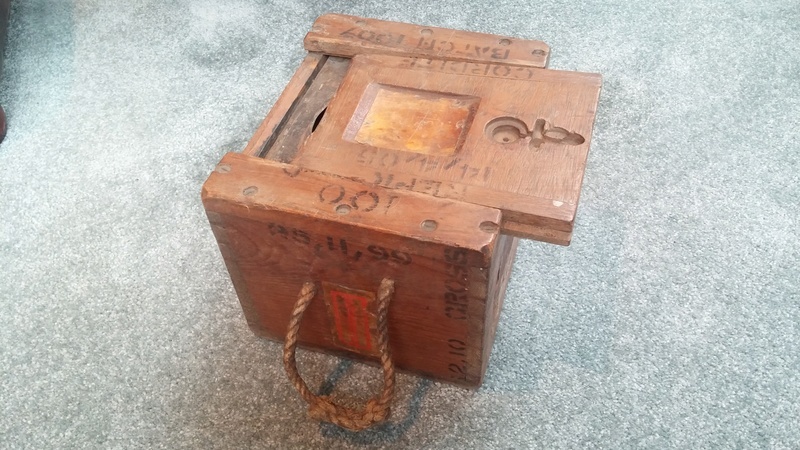 I’m not certain what the string was for, but it may have held the pin that secured the lid and a key to open the interior tin lining. 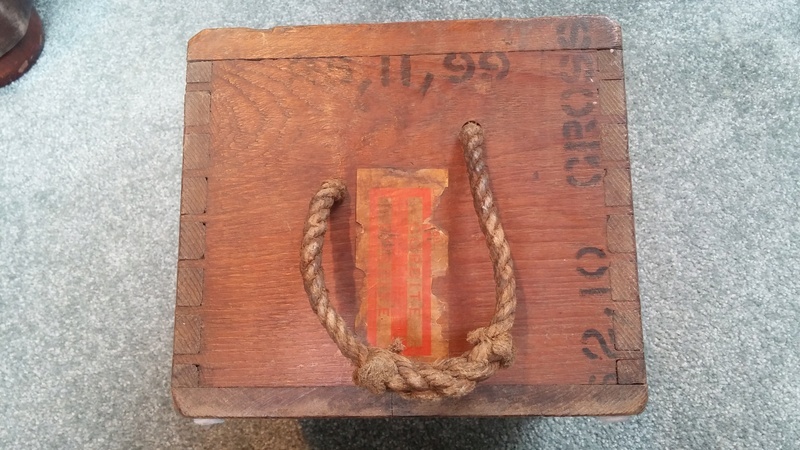 The sides of the box have their original spliced rope handles along with the original load date of November 11, 1899. 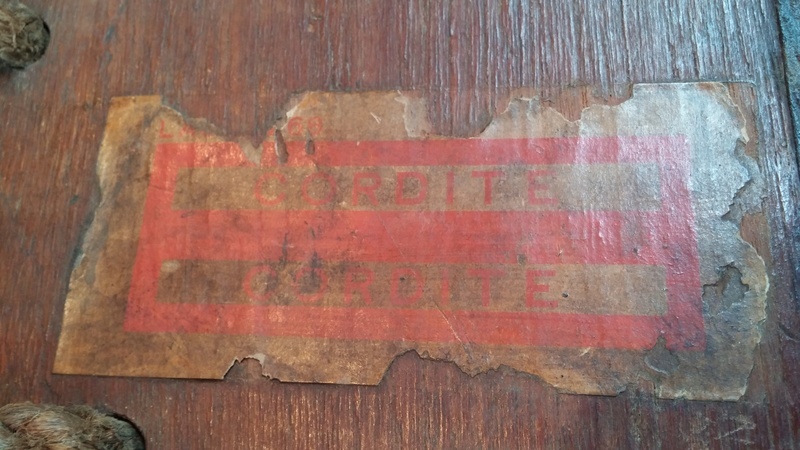 Additionally, each side has a large paper label with the symbol for “cartridge, small arm, ball” (a rectangle with a line through it) along with “CORDITE” in both boxes. 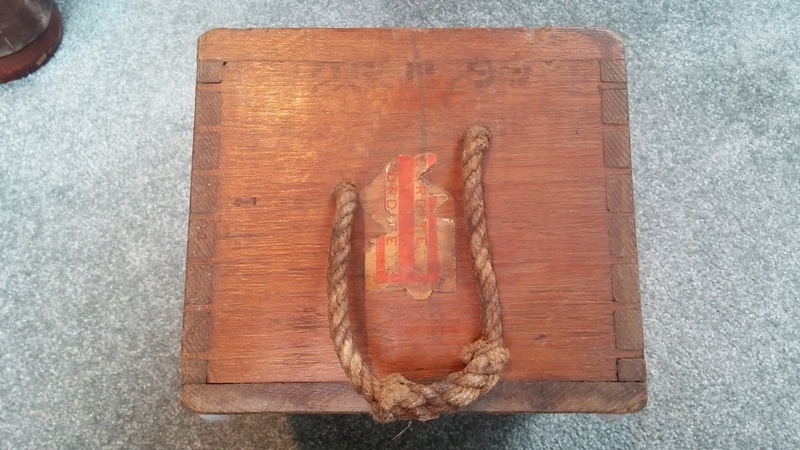 The front of the box has a large letter ‘H’ deeply carved into the wood (possibly because it is an H3 box). There are also a number of deteriorated paper labels, including another symbol for “cartridge, small arm, ball”. There is also a large number ‘1’ inside a diamond with the words “SAFETY CARTR…” below. 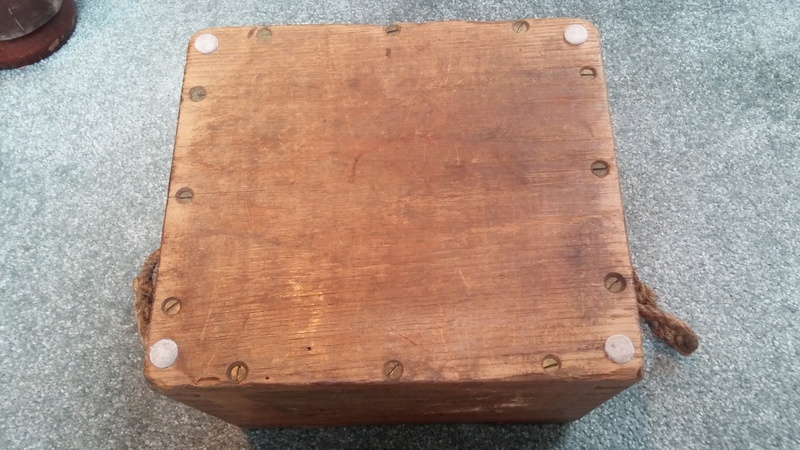 The back of the box has a number of letters stamped on it. I can only make out “H.M.S.” and “GOVT”. There is also a Broad Arrow, which I think was originally flanked by the letters ‘B’ and ‘O’, but I can’t be sure. The bottom of the box has felt pads, but I think these were a later addition. 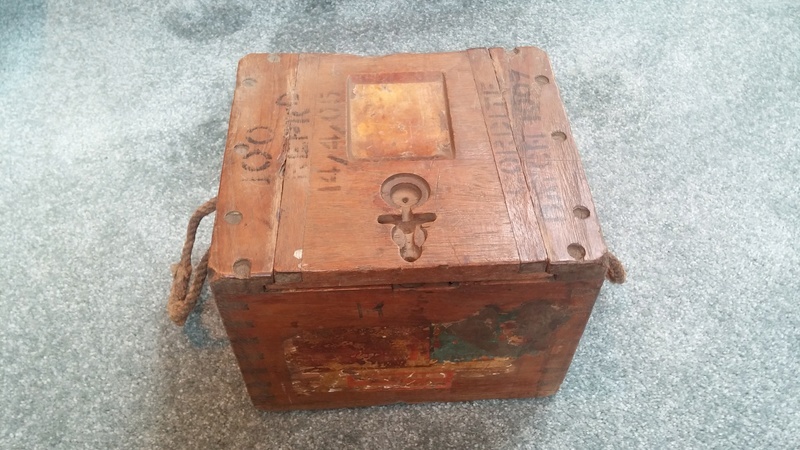 Great find, I would assume an ammo box from that era would be very rare. Thanks for posting. It is a very nice piece. Judging by the felt pads, someone treated it as a decorative piece which must have contributed to its survival. Nice find. edstorey wrote: It is a very nice piece. Judging by the felt pads, someone treated it as a decorative piece which must have contributed to its survival. Nice find. Quite an interesting piece. 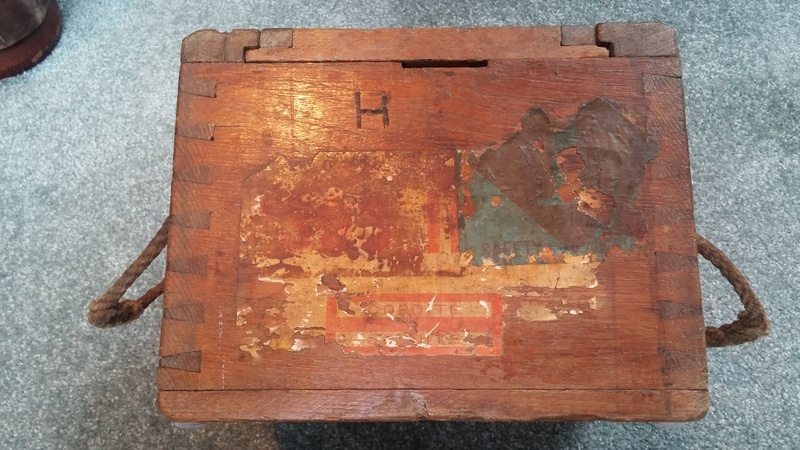 Looking at the construction, it appears more care was put into this ammo box, than most furniture of today. Great find and well worth the wait time for sure.